A gap analysis is about finding the difference between the actual situation, that is the very now of the moment, and the situation that is expected, that is what we should have been. It is about asking whether we have achieved what we have written in our plan. It asks the questions: what have we missed? did we fail somewhere along the way? what do we need to do to achieve our expectations. In this article, we will talk about education gap analysis. 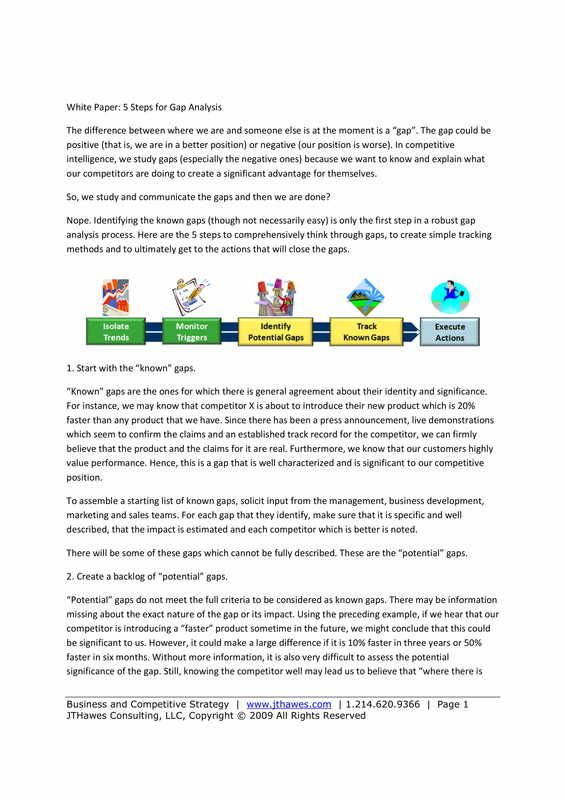 Gap Analysis can be understood in terms of assessment. But gap analysis is even more defined than an assessment. In a gap analysis, the direction or destination is clearly specified. It does not only focus on one thing, on the present tense, if also focuses on the future.You may also see product gap analysis examples. The “where we want to be,” is the ideal situation that the institution or the individual is trying to achieve. That is the B, in the A to B direction. That is the Moon if you are an astronaut from Earth. That is graduation if you are a graduating student. You may also see data analysis examples. 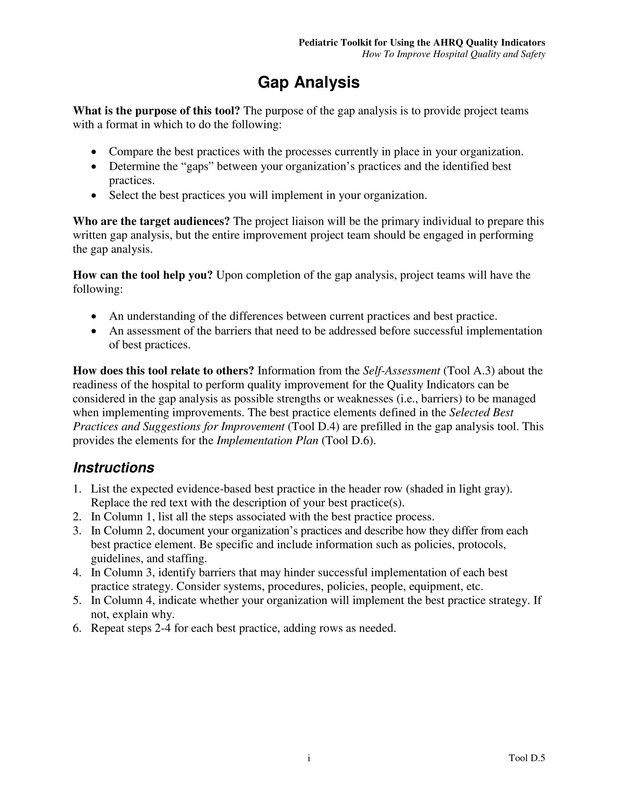 Step 1: Decide the topic you’re going to do the Gap Analysis on? What is is that you want to analyze? Is it about education? What specifically in education that you want to focus, is it abut the performance of the students, is it about the performance of the teachers, or is it about the performance of the whole school? Step 2: Identify where you are right now based on metrics or attributes. If this is about the students performance, how are they doing in terms of the tests, exams? How are their grades? How many of the students pass? How many failed? Step 3: Identify where you’d like to be over a specific time frame? Depending on the school, in the process of improving your situation, you may want to consider all your students to pass in every exam, or maybe just 90 percent.You may also check out here functional behavioral analysis examples. Step 4: Identify the gap between where you are and where you want to be. Now that you see where you are now, you see your weaknesses, you see your strengths, but at the same time you know where you should have been, try to see the “in-betweens.” Try to see, What is lacking? What is missing? What is wrong? Identify the gap. This is the focus of the analysis. So probably, the gap is that not all students pass in the exam. That is one gap, for example. Or not all students have 100 percent attendance.You may also check out here earned value analysis examples & samples. Gap Analysis is all About Asking Questions. What is happening? What is causing the problem? How did it all happen? Why are students frequently absent? What is causing the students always being absent? Are they not inspired? Are they tired? Are they bored? Or don’t they have any fare? There must be some reasons why they are frequently absent.You may also see hazard analysis examples. As to the academic performance, we may also be asking, Why did students fail in the exam? Are they not studying? What is their study habit? Or are they not taught well? Where is the problem coming from? How come some students were able to perfect the exam? How come others didn’t? 1. Auditory Processing Disorder (APD). This is a disorder of processing sounds that goes through the ears. Having a disorder like this will give the child difficulty in identifying and distinguishing sounds. They will also have difficulty telling where sounds are coming from, whether it is coming from left or right.You may also see failure analysis examples. This is a disorder in which a child will have difficulty identifying numbers or mathematical symbols. They will have difficulty telling time. They will have some difficulty in counting numbers. This is a disorder in which a child will have difficulty in fine motor skills such as handwriting, letter spacing, spelling. They will have difficulty arranging things on paper.You may also see business systems analysis examples. Is a disorder that affects a person’s distance, spacing orientation, this affects reading, writing and spelling. Language Processing Disorder. A difficulty in attaching meaning to sound groups to form words. This is a disorder in which the person will have difficulty staying focus. A disorder in which a child will have difficulty in muscle control, which causes movement and coordination. This includes language and speech.You may also see vendor analysis examples. There are many disorders out there that may affect learning abilities of a person. But these are the common ones. The biggest challenge with having a disorder is that it is neglected, and oftentimes never diagnosed. And so children with a disorder but has not diagnosed will appear normal. But they are gauged and assessed like any other students. That is where problem occurs. Why? It is because our programs for learning, or studies are not designed for these children with disorder. 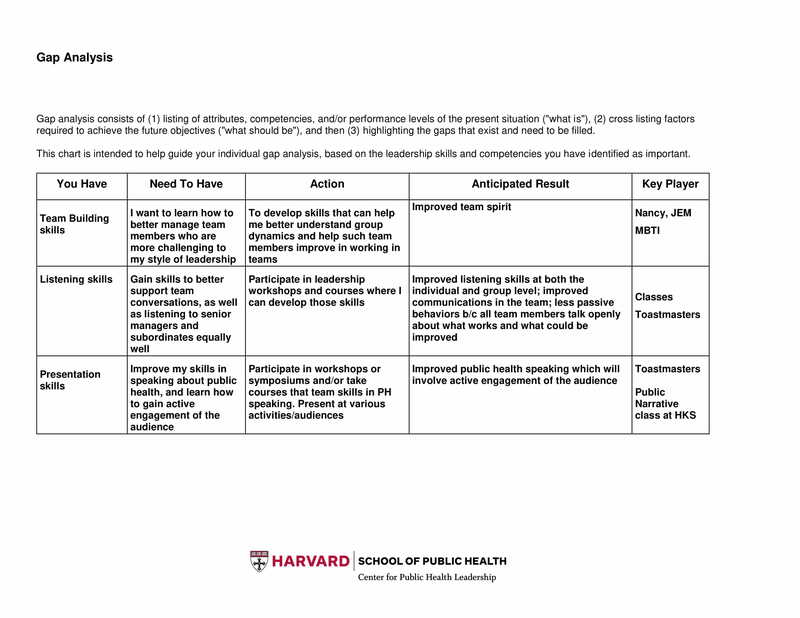 You may also see training needs analysis examples. A gap analysis is useful in many things. But it has its weakness, too. It is a good thing to focus on issues. But if that is all you do to improve, if it is done too much, then that might be too pessimistic for one who just want to improve things. When we say pessimist, it means it only stops at the issues, and does not look at all other considerations. A pessimist uses weakness to destroy all other things. A positivist uses all these problems to evolve, to develop, to improve. That is a very positive way of doing things.You may also see business case analysis examples. Using a gap analysis, people can decide to have a common denominator in assessing subjects. For example, there are three sections in a class. To identify the problem, it is important that you establish if you are using the same materials for all the three sections. Otherwise, if you are not using the same bible, the same books, the same tools, then there is a problem already in the first place. The same thing with the kind of students that are studying. Are there students that have learning disorders? Are they studying with the regular students? Are they using the same books as the regular students? Using a gap analysis, one can identify issues, problems that need to be resolved. So what is really causing the problem? Is it the students themselves? Is it the materials being used? Is it the teachers? Always remember that the problems can not always be blamed to only one factor. It can be just one factor, it can be a combination of both, or it could just be about a teacher not being able to press the correct button.You may also see situation analysis examples. With a gap analysis, you can track the changes of your journey, your progress. But also, you can tell which ones need changes. Knowing what has been changed, and what has been improved is important. It is one thing to know that there is a need for a change, and it is also another thing to know what has been changed. The point it that we do not only changed and improve the current situation, but also, be able to use the changes for the next programs, for the next batch of class for example.You may also see event cost analysis examples. 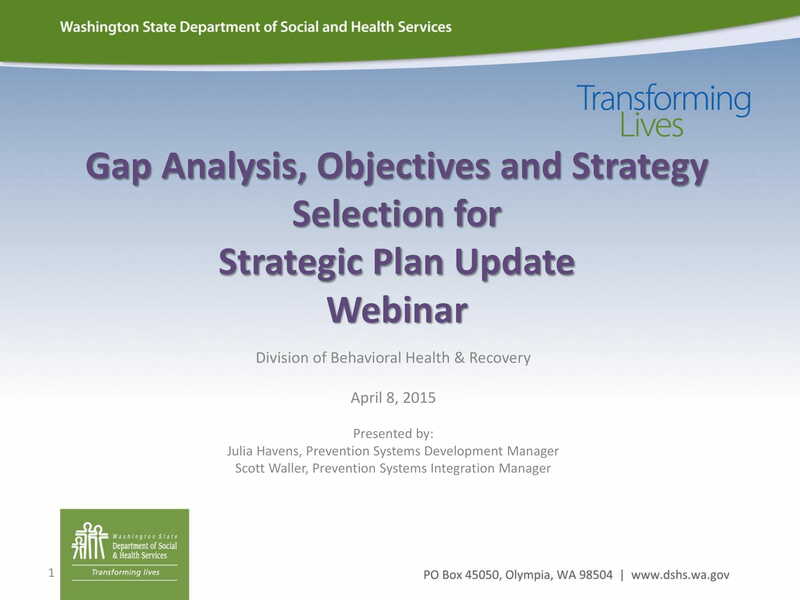 A gap analysis is a framework. It is not a nihilist or a pessimist way of looking at a hole. It is a positive way of looking at a program’s weakness. There is a purpose why we look at problems. One is we want progress. We want to improve. This inner longing to be good pushes us to do a framework, a system, so that the need to be always thinking about looking for solutions is minimized. The system will do it for us.You may also see training needs analysis examples. 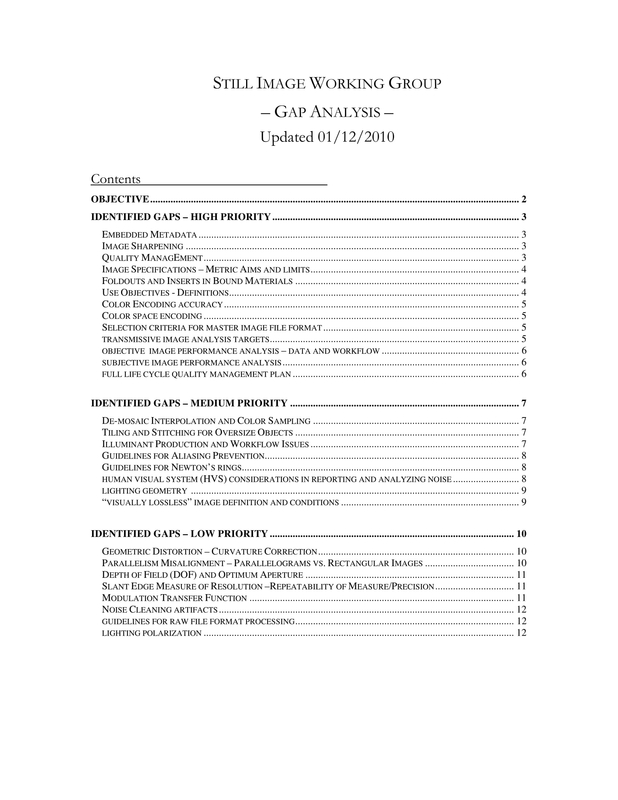 One purpose of using a gap analysis is you will be able to know which to modify to improve your program. It is one way of telling that your program can still be modified. It is good that there is a system, but it should not stop right there. It should be evolving. So what is there that needs to modify, regarding absences. Let us say, student are not inspired to go to school. Will there be anything that can inspire them? What do you think can make them inspired – games, creativity, group activities? 7. Helps to Focus and Structure New Lessons. The good thing with gap analysis is that once you see the issues, you can now focus on to something else, ie., on how to solve the problem. From here on, you now have a priority – and that is the problems at hand – how to execute or realize the solutions. How do you make the books to be used be in uniform? How can you have just one version of book instead of three editions? From there, try to check some ways on how to develop your programs. What is there that needs to be changed, what is needed? Do you need more resources? Regarding absences, maybe you need to do a regular follow up with the students’ parents. Maybe you, as teacher, need to be always in contact with students who are frequently absent in class.You may also check out here bowtie risk analysis examples. 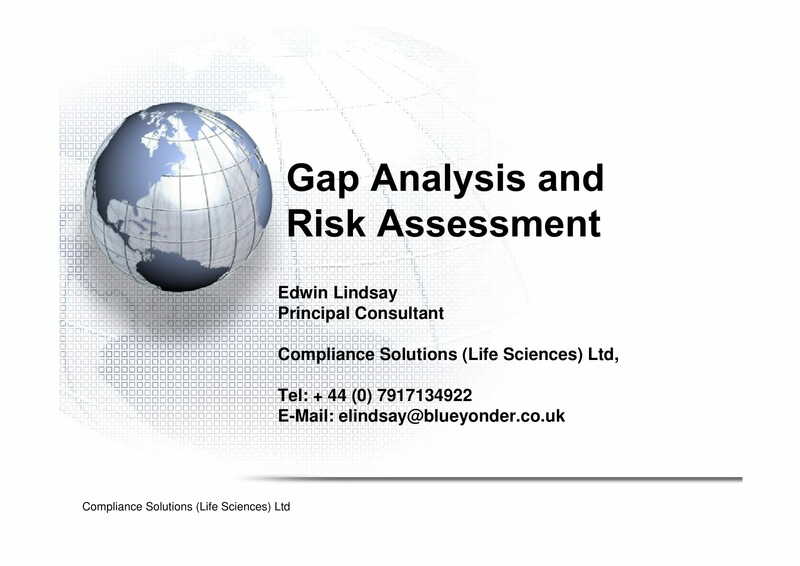 A gap analysis can provide you a learning curve. It can show you how you progress. But you need to do it in a graph, a table. This way you can visualize what is going on. This way, you can see what is being left. What needs to be prioritized.You may also see business systems analysis examples. A gap analysis is just a tool for improving things. There are many ways of improving things, such assessment, exams, evaluation. A gap analysis is in the middle among all these techniques of how to develop and improve oneself or a system. But as you read in this article, the gap analysis has weaknesses, but it has plenty of strengths. How it can effective, depends on how it is being used.You may also see cost analysis examples.